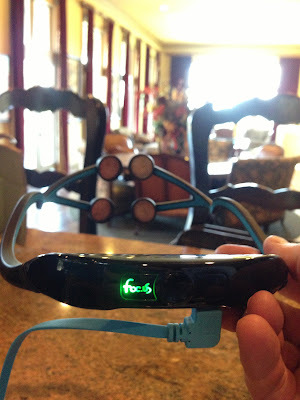 Can Foc.us tDCS enhance cognition and cure depression? So I've been testing the new Foc.us tDCS headset and wanted to share some early observations. The technology, known as "tDCS" (an acronym for "Transcranial Direct Current Stimulation") has been getting attention lately with largely positive, even glowing, anecdotal reports (and an increasing number of favorable clinical studies) testifying to its efficacy in improving cognition and mood. 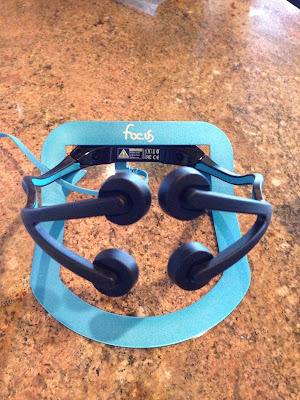 While not the first company to address the growing demand for at-home tDCS systems, www.foc.us is the first well put-together tDCS headset designed to be useful by any consumer, even those without any training in its application. I recently got mine and am more than a little excited to use it! Check back as I plan on posting my experience with it soon! Transcranial direct current stimulation is a form of neurostimulation which uses constant, low-current delivered directly to the brain through various vectors (various cognitive functions appear to be affected more significantly depending where on scalp electrodes are placed). tDCS was originally developed to help patients with brain injuries such as strokes. However, more recently tests on healthy adults have demonstrated that tDCS can significantly enhance cognitive performance on a variety of tasks, increase working memory, alleviate depression, the list goes on, and the benefits depend on the placement of the electrodes on the head and area of the brain being targeted for stimulation. tDCS has thus far been utilized to enhance language and mathematical ability, attention span, problem solving, working memory, learning, and coordination. In some of the more interesting studies below you'll learn that tDCS, being used by the US military, reliably increases overall learning speed by 230%! Hope you found the above information of use. Please take a moment to share your experience with this (or any) tDCS system. I think its about time that you share you experience..